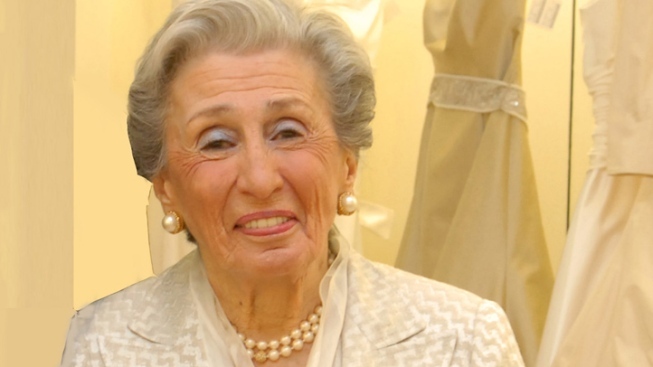 Local fashion icon Harriet Kassman will be remembered during memorial services tomorrow. She died Thursday night of lung cancer at the age of 90. Best-known for her boutique of the same name, Kassman was on a first-name basis with most top designers. The shop closed upon her retirement in 2009, then one of the last full-service designer salons in the country. Barbara Martin of BrandlinkDC described Kassman's effect on the city as such: "She was the first person to bring designer lines, including Calvin Klein and Badgley Mischka to Washington, and her boutique (known as a 'salon'), was the place to see and be seen when buying your inauguration ballgown, or your first Armani suit or your resort wear for your holiday abroad, and treated her clientele--ambassadors, dignitaries, socialites, electeds and nervous 20-something brides on a budget, all exactly the same." Kassman owned her first store, Sussman-Kassman, with her sisters in Florida. She moved to the District in 1967, working as a buyer for Claire Dratch and Saks Jandel before opening her own shop on Jennifer Street in 1977. The store later moved to Mazza Gallerie. After she retired, her son, Nick, kept open the bridal side of the boutique, now known as Chevy Chase Bridal. "Things have changed now," Kassman said when she was retiring. "Throw-away fashion, a sale season that has moved from two weeks to two seasons a year, and women looking less and less for investment pieces that will last decades, has made the model of a full-service salon, complete with a team of in-house seamstresses to fit everything perfectly, a much harder model to maintain."